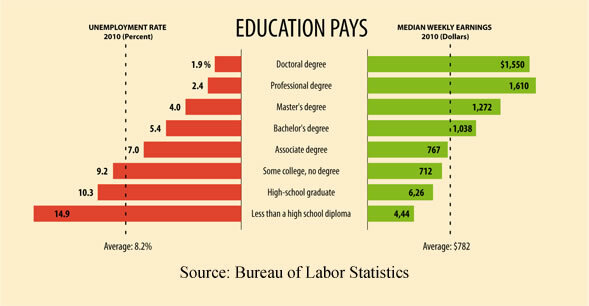 U.S. Department of Labor statistics show that education and earnings are closely related. Think of college as an investment. When you finish college, you will have a wider variety of jobs to choose from that pay higher salaries. You invest in yourself now to earn more later.